If you’re kind of new in our community, you might be wondering why I say contemporary dance techniques, in plural, instead of simply naming one technique (just one, as it’s supposed to be about just one type of dance). Well, this is due to this unique attribute of our particular way of dancing: there are no established movement patterns. People tend to classify our movement trends, sometimes for administrative purposes, sometimes to feel that they finally know, understand or recognize contemporary dance. The truth is however, that the SHAPE of movement is not necessarily what makes this dance be what it is… Read our definition of contemporary dance for better understanding. So, as we don’t have a unique group of defined movements to learn, a contemporary dance class is called rather a training class or a contemporary dance technique class. (You’d be surprised how completely different one lesson can be from another). The goal of such a dancing class is to prepare the mind and body of the dancer for a wide range of movement possibilities: forms, qualities or dynamics. That’s why you can find contemporary dancers assisting to different kinds of body-mind or dance trainings, from ballet to martial arts. WOW… sounds good, doesn't it? 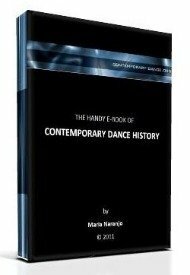 If there is something that makes a difference between the majority of the contemporary dance techniques and other types of dancing classes is our emphasis in adequate force distribution or ‘relaxed moving’. There are a wide variety of approaches related to this particular interest. The so called ‘Release technique’ is a known example of it. As its name illustrates, this dancing technique teaches to release the unnecessary tension used while moving. Believe me, once you learn this, moving becomes a pleasure that differs a lot from gym workouts…! The Release dance technique is associated with therapeutic movement researches that come or make use of medical knowledge. This one, and other related practices like Pilates, The Feldenkrais method, Alexander, Cranio-Sacral Therapy, Ideokinesis or Eutony, are commonly called the group of the somatic paradigm. In very general terms, these contemporary dance techniques care about an enhancing of the self awareness from which movement is executed. Rather than just following physical exercises, they propose a continuous reeducation of mind and body. This should allow the dancer to accomplish a healthy practice that promotes general well-being. For a professional dancer, this means a much friendlier and pleasant work! Another technique we could associate to this group, is the Bonnie Bainbridge Cohen’s BMC (Body Mind Centering). One of the main differences between her work and the type of trainings we’ve already mentioned, is its proximity with the ancestral, India’s doctrine of Yoga. Just like her, a lot of contemporary dancers love the different basic yoga routines that are currently teached in the western world. Yoga has become one of the basic contemporary dance techniques as its emphasis in breath, body alignment, mental control or relaxation are of recognized value by our community. Another way of understanding the idea of FREEDOM is the one you can find in Contact Improvisation. This way of dancing is considered a technique, since the goals of its practice are acquired with repetition in time and it works over physical skills too. Yet it is a composition and performing method as well. You may hear the word ‘antitechnique’ when referring to all those kind of workouts. Strictly talking, they can be understood as dancing techniques, as they do teach new coordinations or moving skills. They are called like that though, because they oppose to ‘classical’ or ‘popular’ dance training methods which usually focus on force or big expenditure of energy to obtain better performing results. Well, everybody says: it feels good! It’s fluid and releasing… and at the same time it expresses a great force. Visit his website through this link if you want to explore his contemporary dance technique. I’ll profit that I mentioned force and expression, to remind that even though contemporary dancers care so much about the subjective or inner experience while dancing, we are concerned about visual projection and audience impact as well. Therefore and for choreographic concerns, we consider and practice recognized dancing techniques that develop force, body aesthetics or acrobatic skills too. That’s why BALLET may be regarded as one of the contemporary dance techniques as well. Oh, yes… . Contemporary dancers practice ballet… and some of them do it a lot. But, this is not a rule. I’ve heard the “I hate ballet” or “I don’t need it” phrase many times. Positions about it diverge between us. For those who value it, it’s usually understood as a complement for all the needs of a versatile dancer. It confers a great domain over the legs, big extensions, turning skills, precision or many other useful abilities. The practice of the so called modern dance techniques has a similar purpose. In that sense, if historians allow me, I’d say that these dancing techniques are kind of an extension of ballet. The difference lies in their exploration of trunk movements and their relationship to the floor. Their ‘athletic’ goals seem to be very much the same… but, at this point I’d keep in mind that we know it’s possible to execute the shape of a movement with different effort qualities... (gets a little bit complicated…?). Here we have a good discussion topic. For the moment , I’ll assume that there’s a spread way of practicing this types of modern dance techniques (mainly in amateurs academies) which is like in a very ‘balletic’ way. Though, that's not the only way of executing those movements. I believe that the point is that as contemporary dancers pretend to be versatile (kind of ‘ready for everything an aesthetic project demands’), they’ll accept a workout as a contemporary dance technique everywhere they find a new or complementary way to move (finding movement freedom maybe…?). 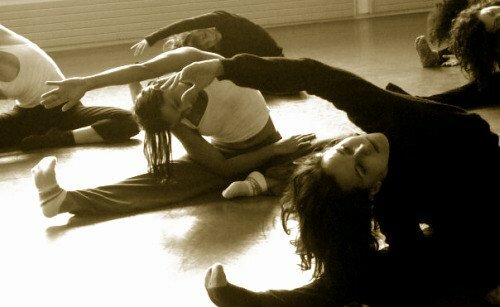 There are many other interesting threads in our Forum for dance questions about technique. Just visit it and browse!